Always one of the most popular artists on the Hypnos and Binary labels through the years, Saul Stokes is also one we've been very proud to "launch" into the ambient/electronica world. 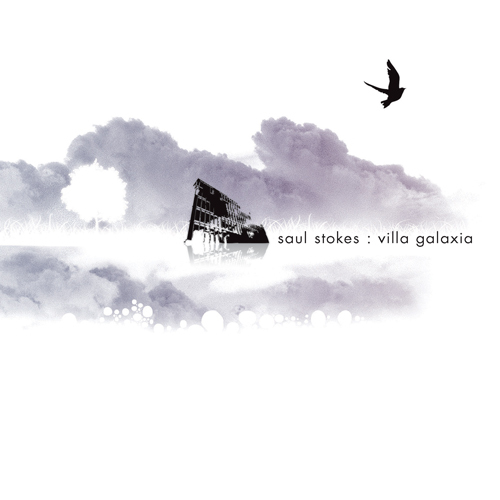 His latest album, Villa Galaxia, will be released cooperatively by Binary and Saul's own imprint Stokesmusic, in mid 2008. We'll have more information, including a track listing, fairly soon. Something new from Saul is always a welcome surprise...looking forward to this one! Vapor Trails and, Night Painting especially, for me, are wonderful, wonderful tracks. I love this album. You have a new fan, Saul. Thank you for this great work. Your music is the feeling of scaling to greater heights from deep in a green grassy valley. Open, fresh evening air. Multiple dimensions and possibilities of existence flickering in and out like a great flux in the multiverse. It feels strident. Somehow aware of what the cosmos means. The electrical impulses are all heightened. My amateur attempt at some poetry to describe the emotions it conjures in me. Again, thank you! music. Music to relax by, while tapping your feet along to it." warmth. An album of its time, spanning and transcending electronica's musical moment, Stokes channels the era of the synthesizer."